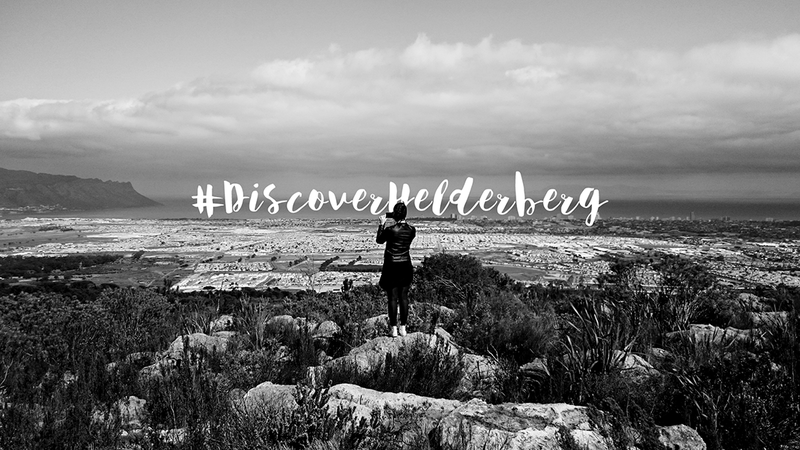 I really was discovering the Helderberg because I wasn't even aware of it until we went! 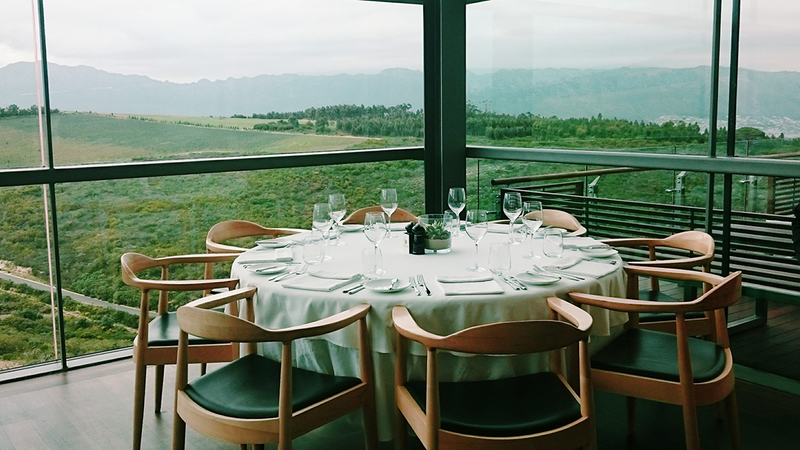 I feel like I have a number of wine farms to suggest to people who are looking to taste some spectacular wine, eat marriage-proposing-worthy food and have the breath knocked out of them from the beauty of it all. 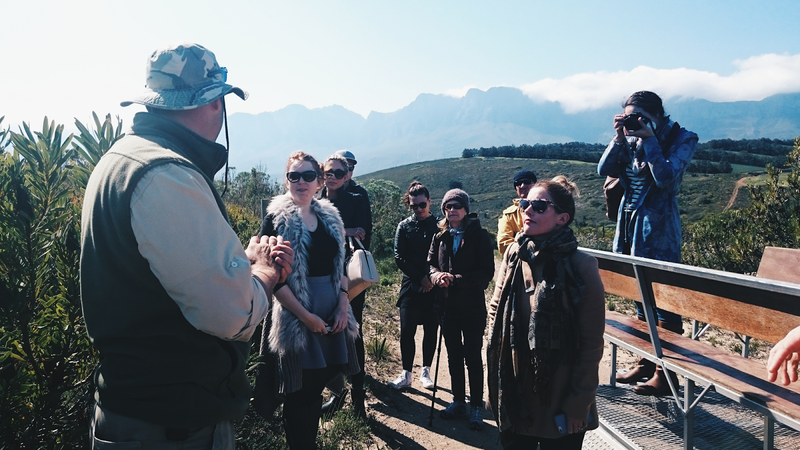 It was such a lovely experience, thank you so much to Stellenbosch Wine Route. Here are my thoughts and pictures on what happened. You may know about Stellenbosch, you may know about Franschhoek, but do you know about the Helderberg? Bros. 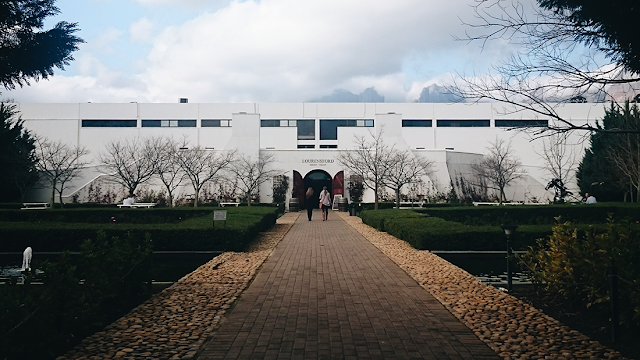 The Helderberg has some amazing wine farms. I was really blown away by the beauty and deliciousness of it all. 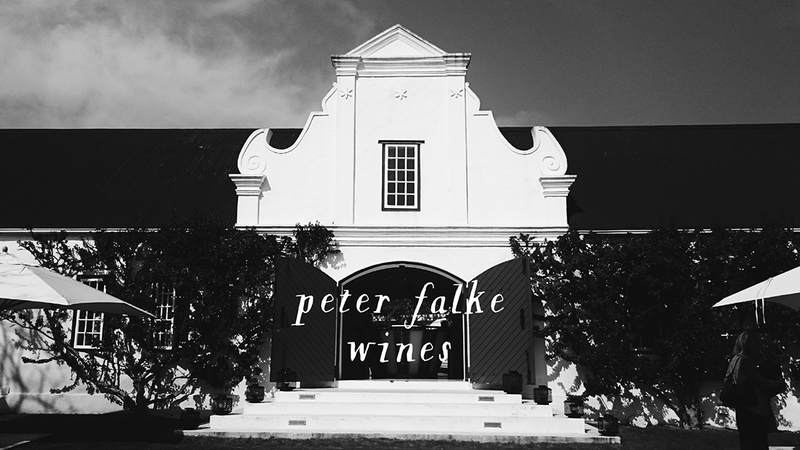 Our first stop on our Stellenbosch Wine Route, was Peter Falke Wines. 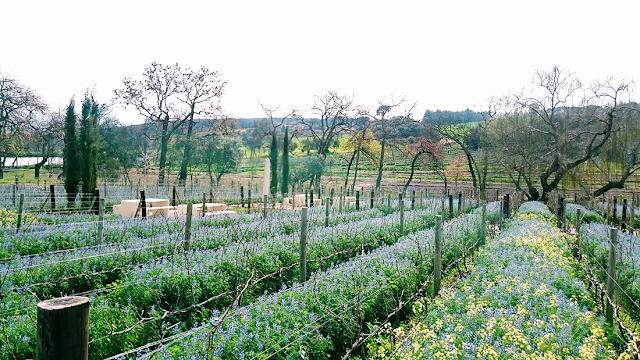 The grounds are beautiful with ramnas and lupins sprouting up between the vineyards. These, I was told, give nitrogen back into the soil. 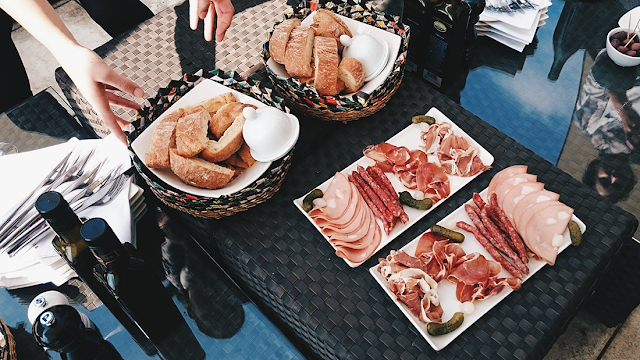 Our tasting was deliciously paired with olives (I ate a whole bowl myself, sorry, not sorry), salted nuts, bread, lentil salad, cheese and cold meats. 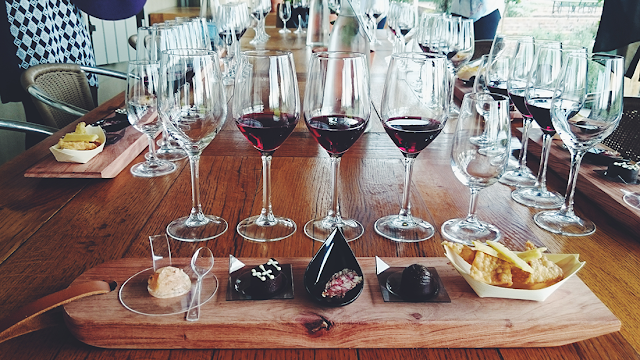 This is a standard on the Peter Falke menu and they're one of the only wine farms in the region to be open between Tuesday to Sunday from 11am - 7pm for cheese platters, salads and sundowners. Both bottles retail at R90 each, you can buy them on the Peter Falke website. 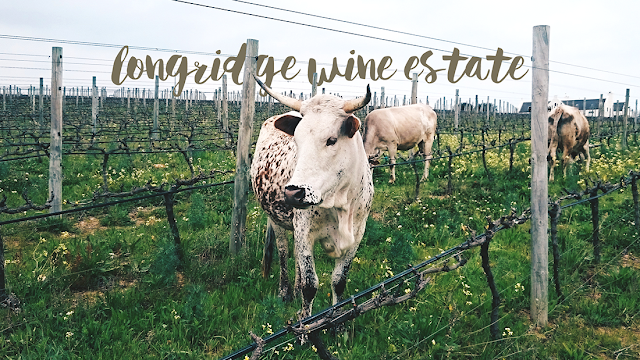 Next on our stop was Longridge wine estate. By this point I was starting to feel "a little jolly" from our last tasting, I even did a cartwheel for Natalie's video. We did a small tractor ride through the Estate to go visit some nguni cows and we got quite close to them to take some pictures. We also got to meet Masala the winemaker's ride to work everyday. 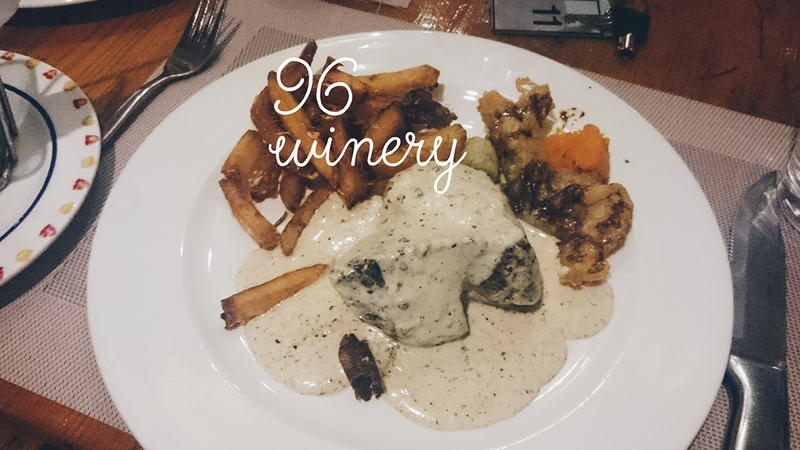 Back at the tasting room, they'd set up a beautiful curation of wine and food pairings. My favourite was the Longridge blanc, the Chenin blanc and I especially loved their "Emily" which is a Chardonnay Pinot Noir blend. The food pairings were a smoked salmon jelly, hard chocolate with orange ganache, cabanossi, white chocolate bonbon and deep friend pasta strips with grana padano. The lollipops at the end are Noble Late Harvest that have been chilled in the freezer. I'm looking forward to visiting their restaurant because the special of the day caught my eye on the way out. Take a look at their menu here. I bought a few bottles at the wine shop and then we were off to our next destination! 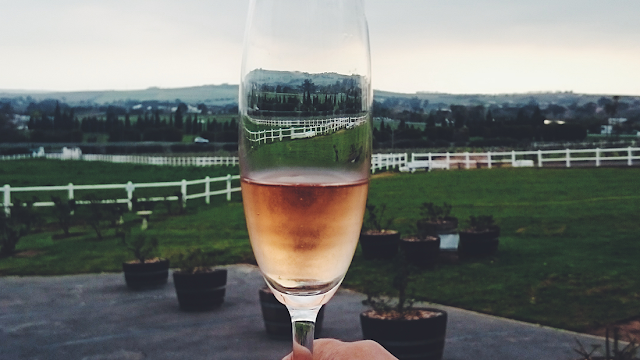 Upon arrival at Avontuur, we were greeted with a pink, sparkly glass of their mcc. 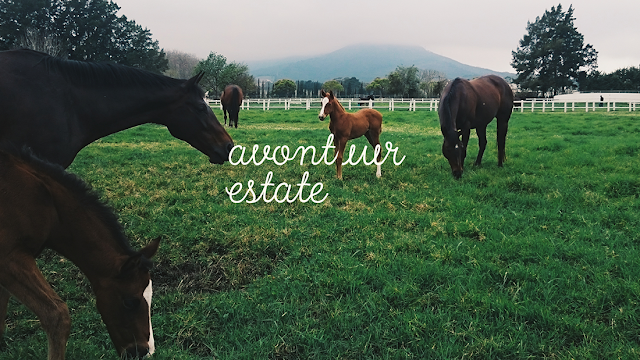 Avontuur keep horses on their farm and play a big part of the farm and their branding. We went to go visit some of the mares with their foals, bred for house racing, the little foals were already enthusiastically bucking around at only 3 to 4 weeks old! We had the winemaker at Avontuur take us through their collection of wine. My favourite here was the Chardonnay Pinot Noir. 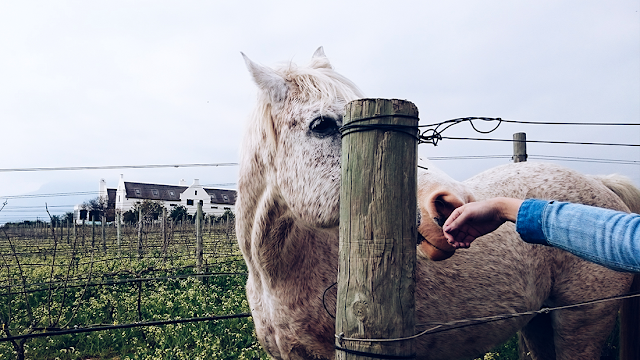 I left with a few bottles under my drunken arms and we said goodbye to Avontuur and the horsies. We ended our journey at the Old Country Guesthouse and booked in and took some time to relax before I dinner. I ate crisps in the bath and sipped on rooibos tea. Full time relax mode. 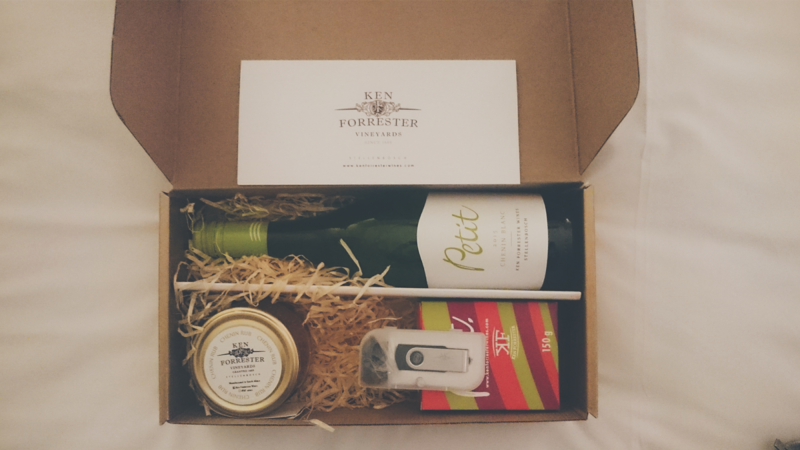 We also got a lovely gift box from Ken Forrester Wines. 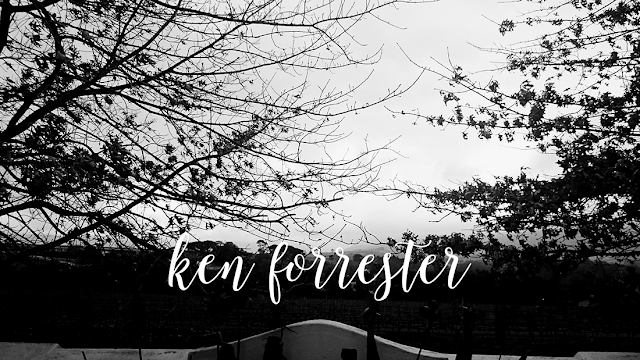 We arrived at dinner at 96 winery and immediately got stuck into some Ken Forrester Renegade red wine. More wine. The chef brought us a pork belly, mushroom risotto stater which I proposed to. So eyes-rolling-back in my head delicious. For our main, I heard that the steaks were out of this world, so I opted for the "Hollandse" Pepper Fillet. 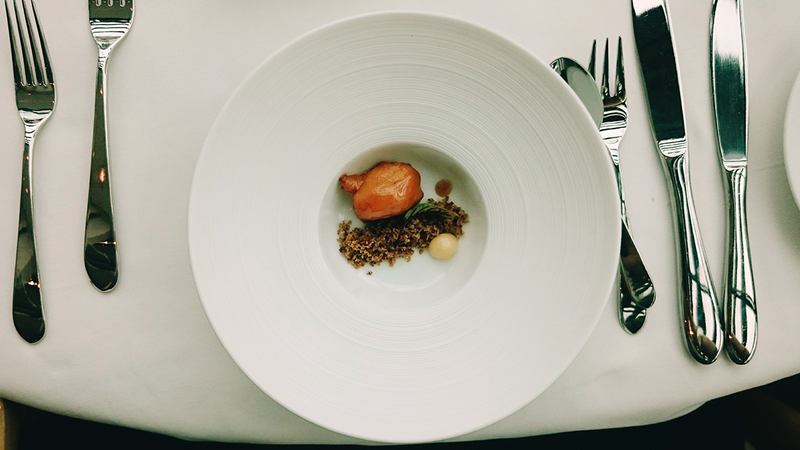 "Rolled in crushed black peppercorns, pan fried in a rich cream and brandy sauce and flambéed at the table." Ah man. I'm drooling just talking about it again. Medium rare to perfection. After this feast, I was completely exhausted and pickled. I turned in for the night in my wonderfully comfy bed. 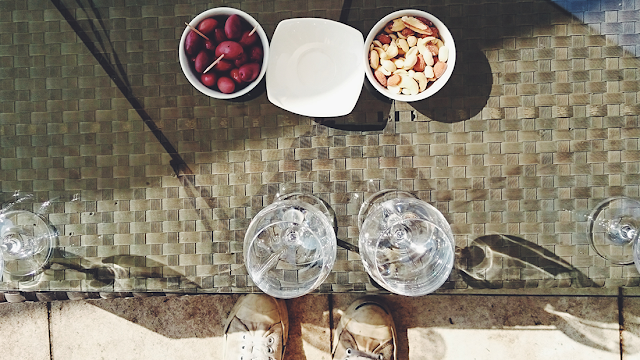 After a bacony breakfast at the old country guesthouse, day two started with a wine tasting at 9:30am. Yes. In the morning. My liver was like, "nay fool." But I persevered. Ken Forrester as well as the other farms that we visited have managed to change my opinion on Chenin Blanc which I usually think of as "water wine" I'm not sure which Chenins have giving me this weird perception since the 2004 Secateurs Chenin is one of my favourites. But let's talk about the Ken Forrester FMC. 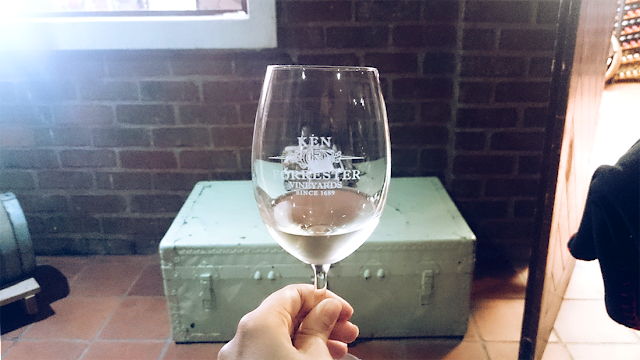 This Chenin has got to be one of the most delicious wines I've ever tasted. This is obviously because of the farming practices that Ken Forrester undertake. 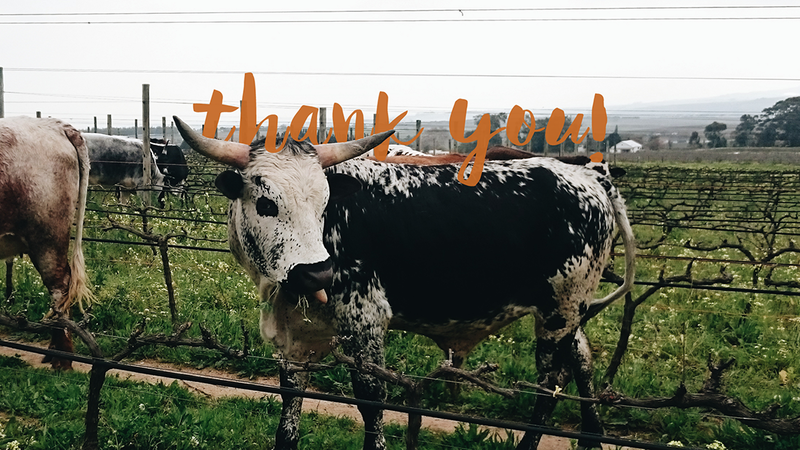 They're a biodynamic farm and concentrate on the long term, rather than money and short term gains. They care about the community, providing jobs for people instead of using machinery. They don't use pesticides and they rake great care in producing good wine. 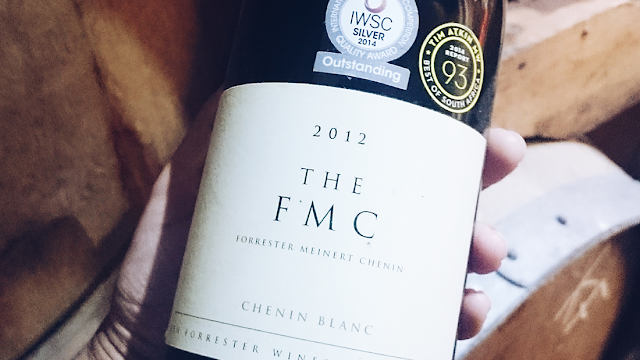 The FMC is part of their "Première Selection (2 barrels) of the most expressive, powerful extract of the vintage; fermented naturally on the wild yeasts and left sur lie in barrel for 14 months before being gently revived and bottled." 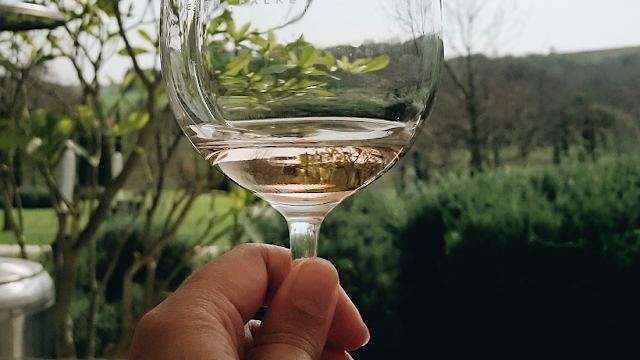 After a 9:30am wine tasting, I was already "jolled". I never use the spittoon, so I drank all my tastings. Eek. 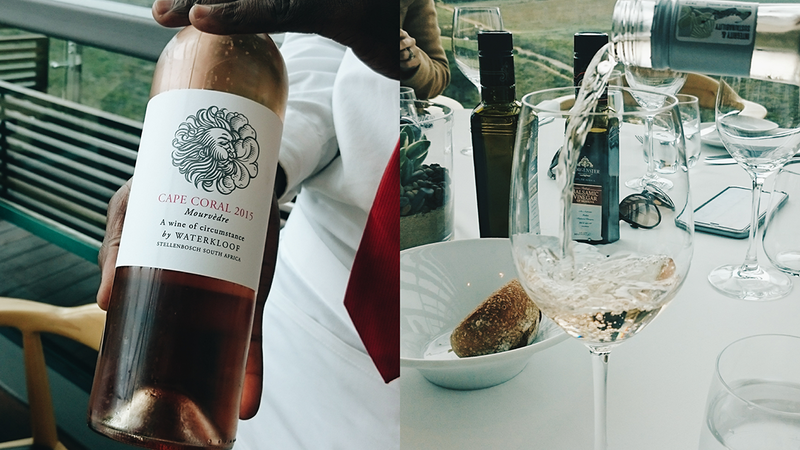 Our next stop was Waterkloof which I had heard good things about, but man, it didn't prepare me for this. The building is set on top of a hill with a box of windows on the one side which the restaurant. It's such a beautiful building to look at and even more breathtaking to look out of. We hopped on a tractor and went on a biodiversity trip of the farm. It was absolutely fascinating to see the care that goes into this type of farming. 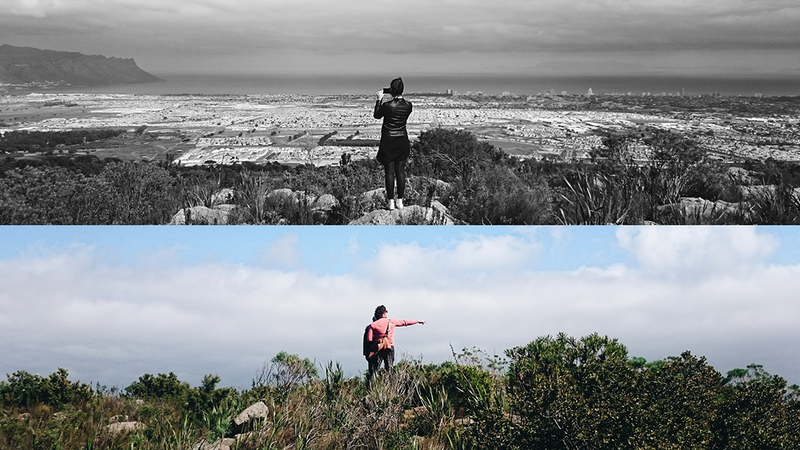 The respect for nature and the product they’re creating. They use animals instead of pesticides and tractors, ie. the chickens are used to rid the vineyards of vine weevils, they use horses to work the vineyards instead of tractors. The farm manager, Christiaan gave us in depth information about the farm, its history and the benefits of farming biodynamically. After our ride, we sat down to lunch at the Waterkloof restaurant. Look at that view! Magnificent. We started with a glass of the Cape Coral 2015 Mourvèdre which was, of course, sublime. 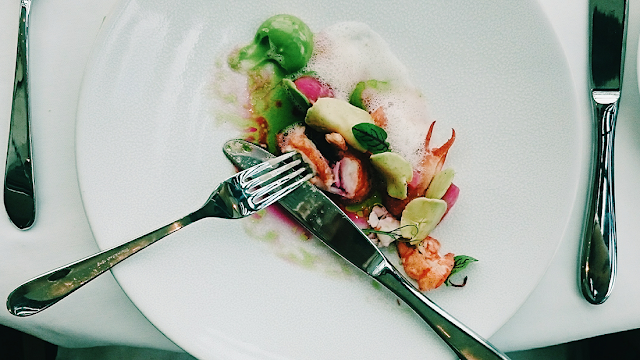 I'm allergic to fish, so he prepared marron with spinach mayonnaise, pickled kohlrabi, grapefruit. Er. What? YUM. Everyone else had the Norwegian salmon which looked...colourful. 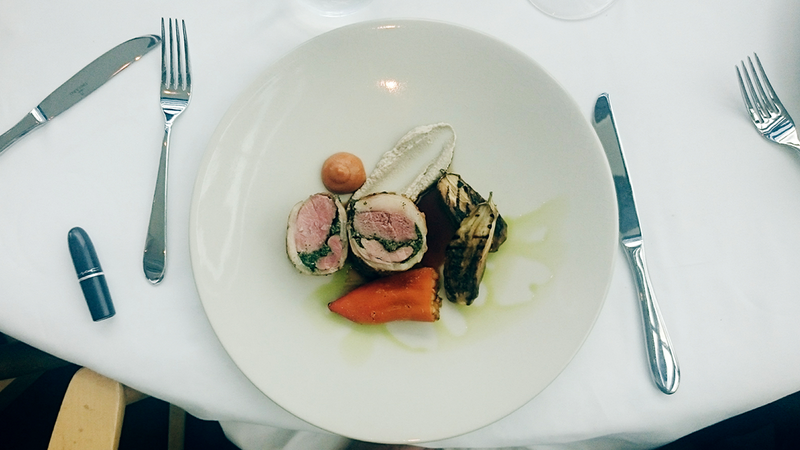 Our main was the stuffed karoo lamb saddle with smokey aubergine ketchup, paprika. 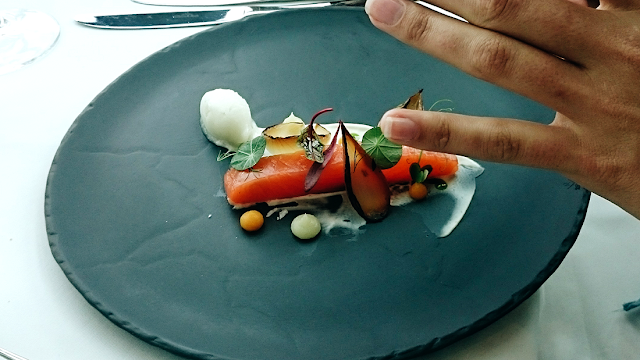 All of these dishes were paired with the Waterkloof Chenin Blanc (favourite), the Circumstance Sauvignon Blanc and the Circumstance Straw Wine (also great). 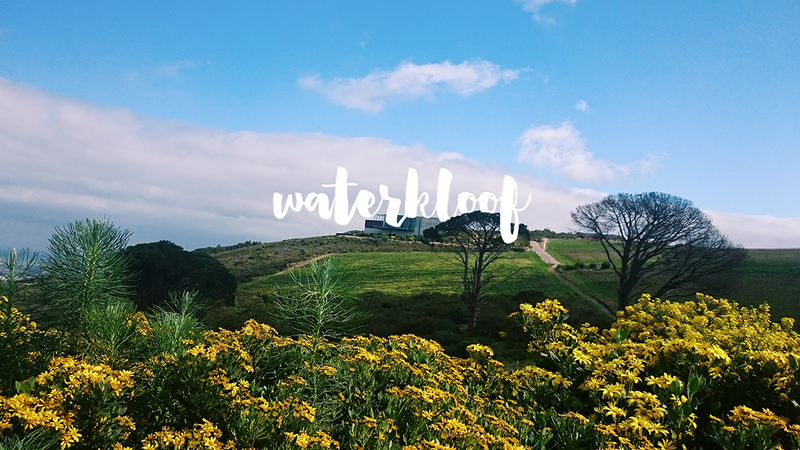 I can highly recommend Waterkloof for a fancy lunch out with family or a date. 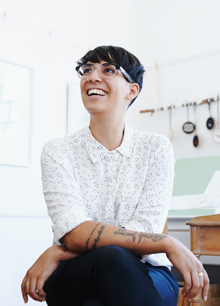 It's really a special place and with exquisite decor and professional and friend staff. Next was a wine and turkish delight pairing at Lourensford. These were 2 MCC's, Noble Late Harvest and non-vintage Honey Liqueur. All of them went down so perfectly after a long hard day of day drinking. 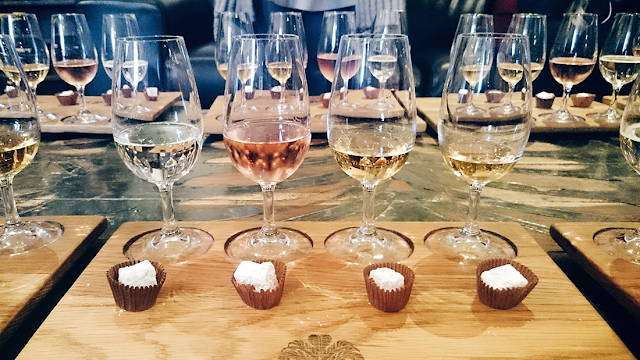 There's also a chocolate wine tasting availbable as well as a standard tasting which you can select 5 wines to taste. You can see more about that here. 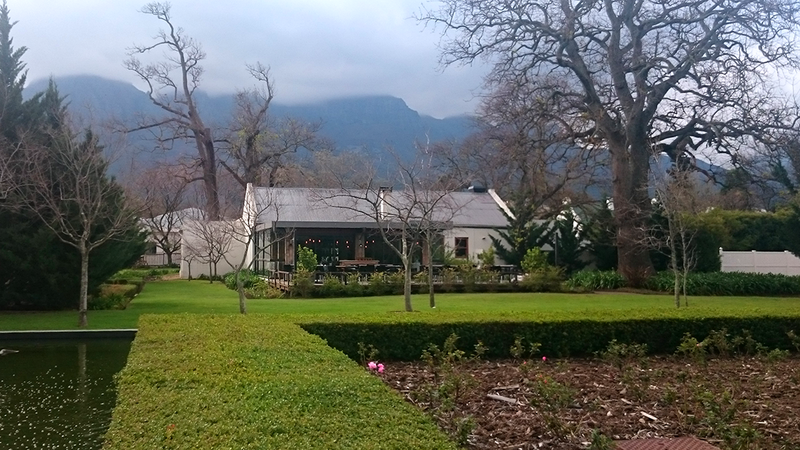 The Lourensford grounds are really stunning. There's also a restaurant there called the Millhouse Kitchen which do French and Italian food. I'm excited to try it out as soon as possible. 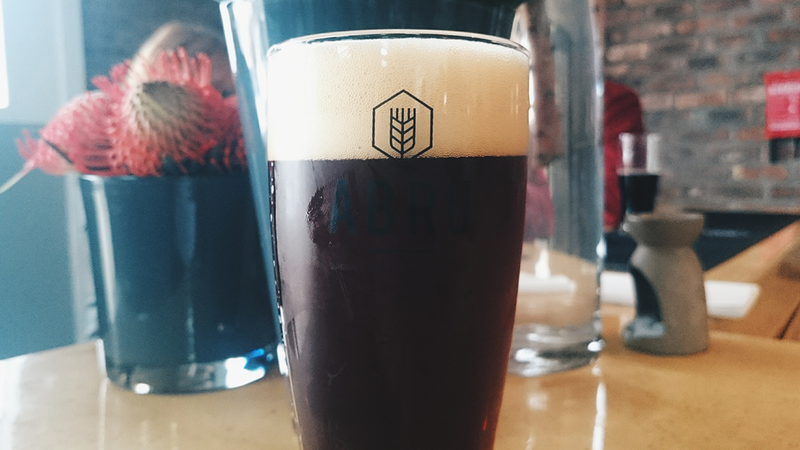 A new brewery has opened up on the grounds called Abru. They brew ales and it seems like the perfect spot to rehydrate after a long day of work. 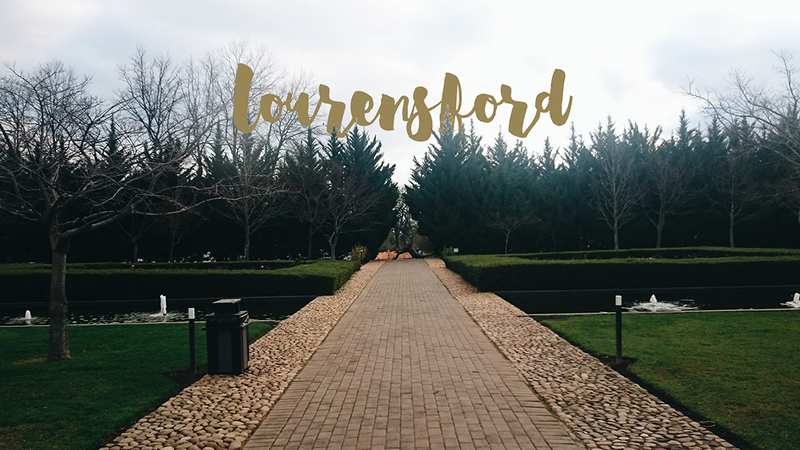 Lourensford also host a market every Saturday and Sunday. I'm looking forward to taking my family there when they visit in December.